“This common-sense bill addresses a question on all of our minds: how do we keep our children safe?,” said Rep. Vicky Hartzler (R-Mo. ), the lead sponsor of the bill. “These dedicated men and women of law enforcement should not be barred from providing an extra layer of security for our schools just because they are off the clock or have retired from active service to their communities.” . . .
Now it’s just another step to ‘qualified’ civilians (trained, armed, civilian security and licensed CCWers), then the States need to go Constitutional Carry. Of course, WHY must we continue to go to our elected officials, hat (holster)-in-hand as it were, begging to be able to exercise our natural rights? Let’s face it, I’m a Desert Rat, and I like it, just fine. When I was growing up here, we’d play outside all day, getting water from the garden hose, as needed. And we sometimes got sunburned. I remember walking home (a mile and a half) from the bowling alley with my friends, the day Neil Armstrong walked on the Moon. I don’t remember the temperature, but it was mid-Summer. 100+ degrees, easily. And, we didn’t care. It’s gotten statistically warmer here as the years have progressed. Not because of global warming, but because of the heat island effect – as the metro area grows, more concrete and asphalt. And we feel the results. My 60-year-old body isn’t as resilient as the high-schoolers who leisurely walked home in the Summer of ’69 to watch history being made. I generally hobble from A/C unit to A/C unit. It’s a way of life, here. And, with the exception of government-produced town lakes (aka mosquito hatcheries), the humidity remains low. 7% yesterday. I’d much prefer here to say Chattanooga in July – 95 degrees and 95% humidity. There’s little oxygen in the air (it’s mostly water) and there’s a permanent wet stripe from your armpits to your squishy shoes. I know, I’ve been there. 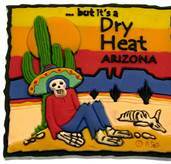 We reached 122 degrees here a few years ago. It was 116 yesterday, 118 scheduled today. This is the price we pay for shirt-sleeve Thanksgivings and Christmases. 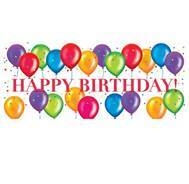 TODAY is my good friend Bernard ‘Biff’ Jannuzzi’s Birthday! Radio Personality, published author, standup comic, libertarian and bon vivant! He’s interviewed hundreds of people, including Col. Paul Tibbetts, Robert Conrad, Buzz Aldrin and Gavrilo Princip. For some unknown reason WordPress won’t allow me to post my daily You Tube video. Every time I hit ‘save’. it deletes the entry. Follow, Lead, Or Get Out of the Way! Following, as it relates to a blog, is weird. Of course, blogging unto itself is weird. When I first began blogging, on the BLOGGER format software, I found there was a means by which a person could be alerted to a new blog post via their email. Following. And, after I changed over to WordPress, I noticed a similar function. It was an amusing and interesting way a blogger can determine who likes what he shares, and enumerated those who do. Ego gratifying – certainly. Look! I’ve another follower, today! When I left the BLOGGER format, Guffaw in AZ had 48 followers. Pretty cool for someone who had no expectation of an interested (or any) readership! And most of these folks seemed to be fellow-travellers. Like-minded folk – libertarians, gun guys (and gals). People whose sense of humor was a little off (?) But then I moved to WordPress. WordPress bloggers seem to be a whole different animal. Not all who came by to read and follow are like-minded travellers. The protocol seems to be – pick up on a stray post, perhaps not the usual twisted, tin-foil hatted, armed kind, and based on that stray post alone, decide to follow me. And have expectations of reciprocal following! Look, I’m following you, you’d better follow me! Some kind of schoolyard paradigm. I don’t do that. I prefer using my blogroll, blogs saved in my bookmarks and TGBBL as my guides. And, I’ve lost some ‘fair-weather followers’ as a result. As of this writing, I’ve 140 followers! I suspect about half of which are from my original blog – libertarians, carnivores, gun guys and gals, or folks leaning that way. The others? Perhaps tofu-ingesting statists? I’ve no idea. Go and read Mas entire assessment, then go read the book. You won’t be disappointed – even if you find Mr. Beck a little histrionic on the tube. 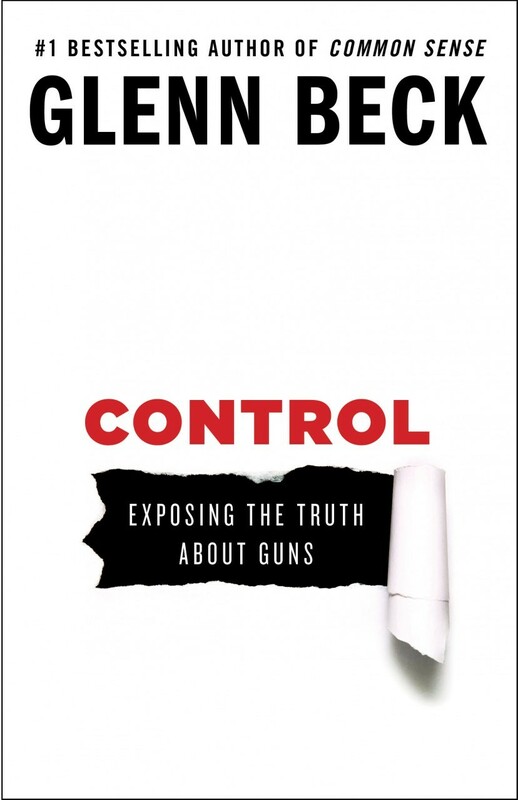 FTC – neither Glenn Beck nor Massad Ayoob give me anything, now go away! 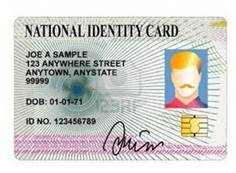 Today, at 1730 PM Eastern, the United States Senate is scheduled to vote on the ‘comprehensive’ NATIONAL I.D. CARD BILL! CALL YOUR SENATORS, NOW! And tell them how you feel. REPORTEDLY, THIS IS PART OF THE ‘COMPREHENSIVE’ IMMIGRATION BILL – ANOTHER ONE WE MUST READ TO KNOW WHAT’S IN IT! REMEMBER HEALTH CARE? I’ve written about this model N frame Smith before. But, yet another tale bubbled up from the slime that is my subconcious. John C. was a friend from my college law-enforcement classes. He was a former Marine wanting to become a deputy in the county where he grew up. He became my boss doing security at the closed Legend City amusement park. He was married to a strikingly beautiful young woman, who was a secretary at the local FBI office. This made sense in the scheme of things, as he was ruggedly handsome. Pale blue eyes, chiseled jaw and permanent five-o’clock shadow. I’m certain had he known them, my friend Steve would have christened them Lance Goodlooking and Stella Stunning. Well, we met to finalize the deal, and John backed out! It seemed that the Highway Patrolman was his wife’s gun, and there was no way she was parting with her! Geez! Turned down by the wife! (about the revolver). I can understand her not wanting to part with her though. I heard some years later that John and his wife had a child, then divorced. I wonder if she still has the Model 28? Or is seeing anyone? I’m kidding. I cannot afford either.